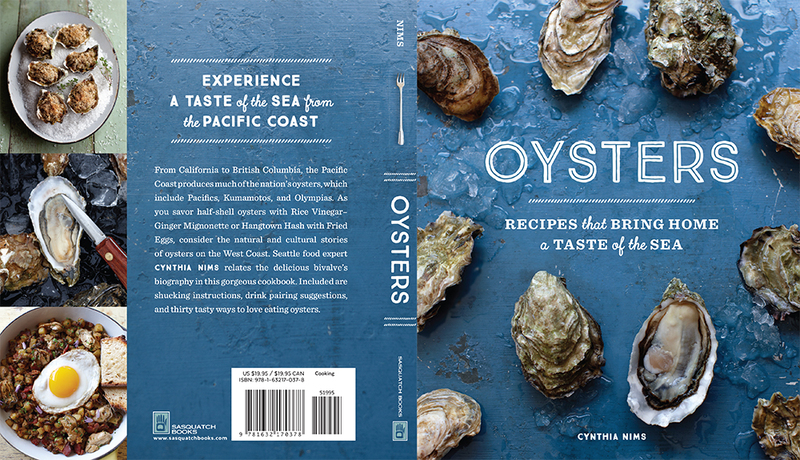 This cookbook by Cynthia Nims is all about oysters! 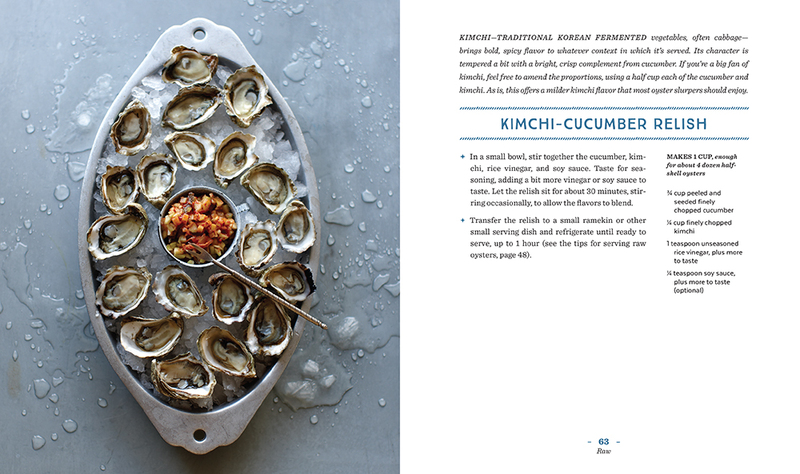 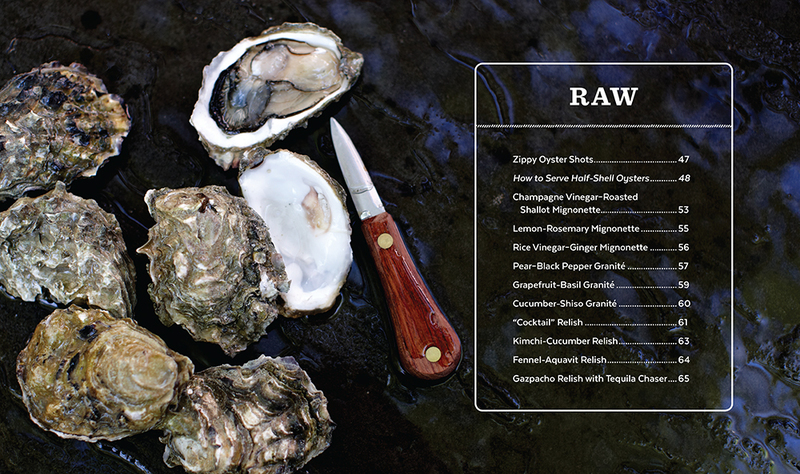 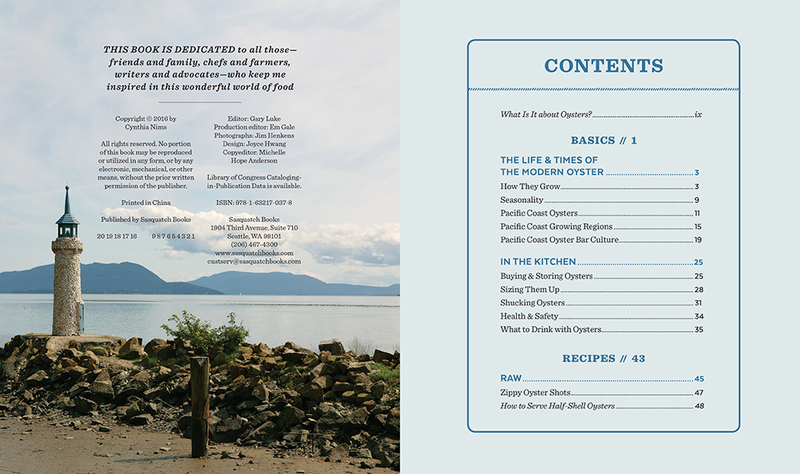 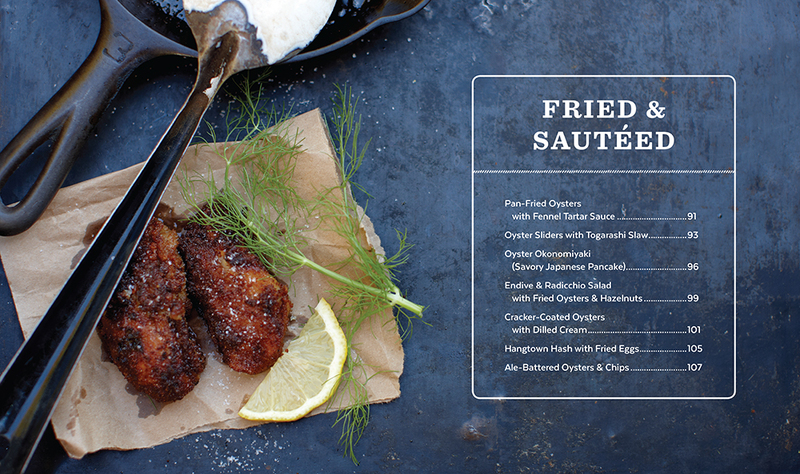 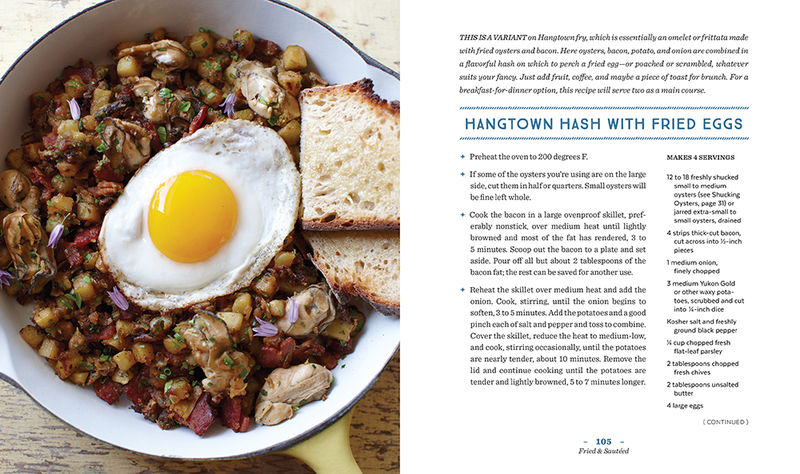 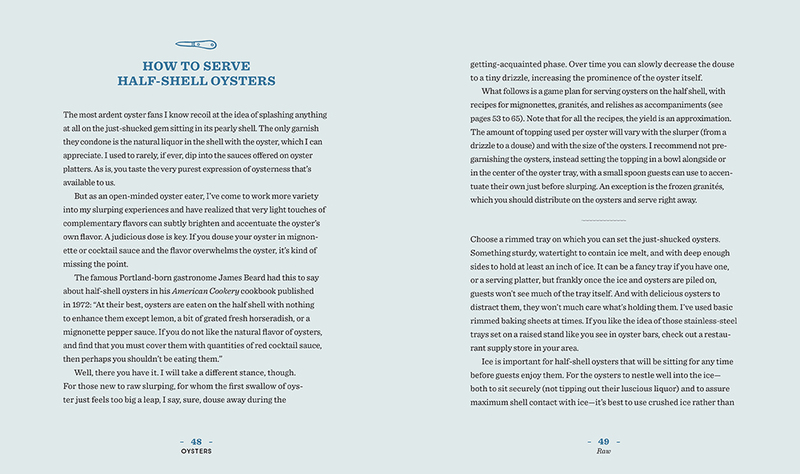 It features recipes and information ranging from how to shuck an oyster to drink pairings and local shellfish farms. 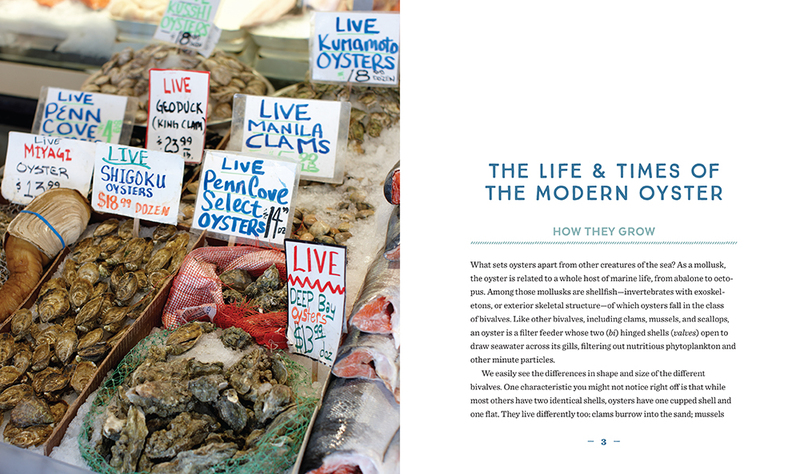 The assignment was to highlight the Pacific Northwest appeal of the book. 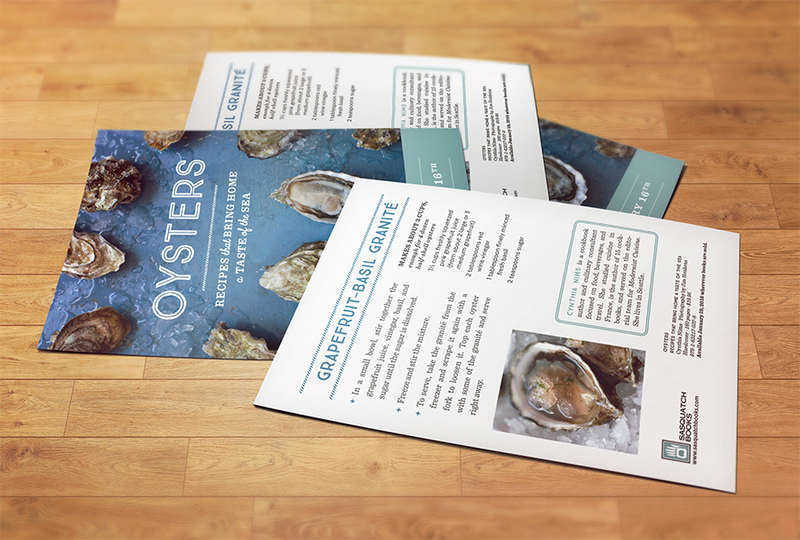 As the designer, I sought to set the tone by using photos of regional oyster farms and scenic shots. 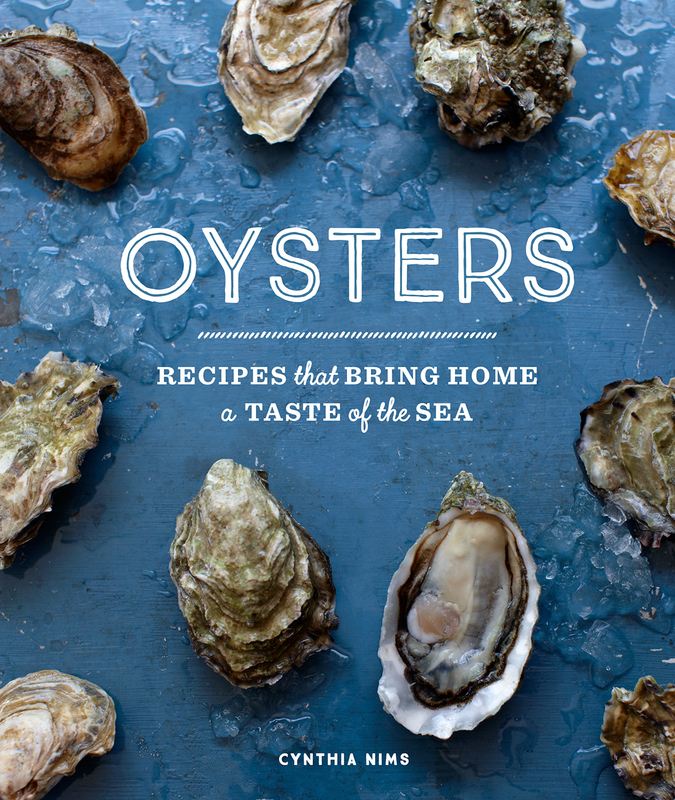 I incorporated elements with a subtle nautical theme (such as the color palette and rope-like rules) that hinted at the feel of oyster bar menus.